She proudly said, "Go ahead and quiz me. I know all of them!" Her friend said, "O.K. 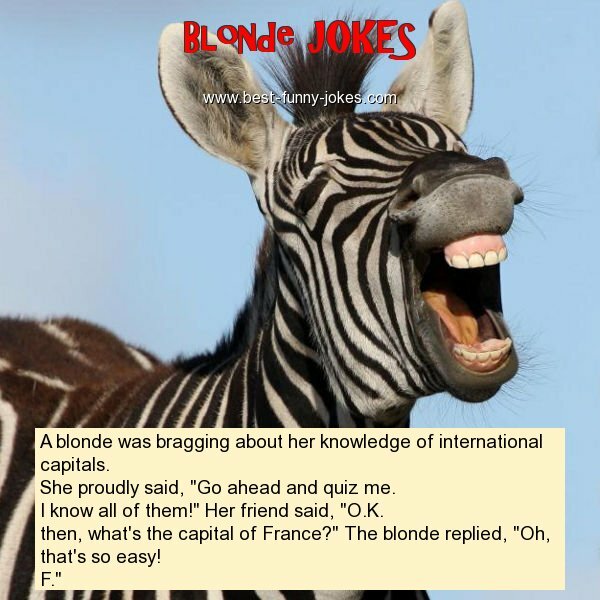 then, what's the capital of France?" The blonde replied, "Oh, that's so easy!